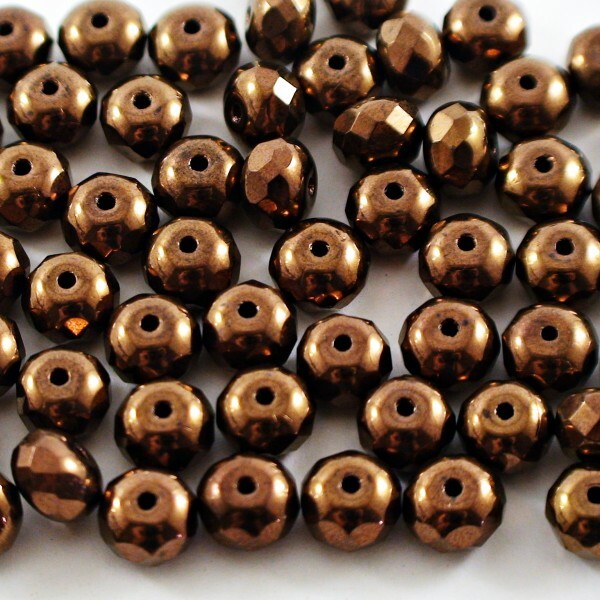 Czech glass beads fire polished rondelles, JET BRONZE, 7 mm, 40 pcs. 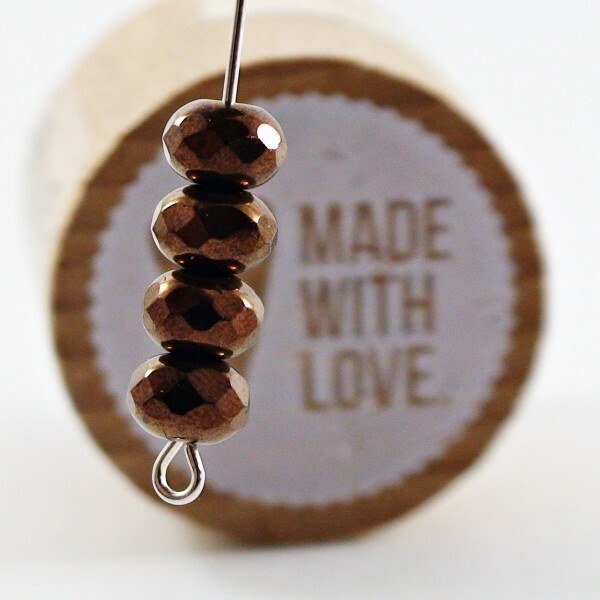 > Firepolished beads>Rondelles 7 mm>Czech glass beads fire polished rondelles, JET BRONZE, 7 mm, 40 pcs. Czech glass beads fire polished rondelle beads. Color - opaque jet with full bronze coating.